Will Christian Benteke start for Crystal Palace? Crystal Palace hope to have Christian Benteke and Alexander Sorloth available for their derby clash with Brighton on Saturday. Benteke missed last weekend's 2-2 draw at Bournemouth with a groin problem while Sorloth has been out since March due to a hamstring issue. However, both have been back in training and could feature as Palace look to boost their hopes of avoiding relegation from the Premier League. Palace are three points above the relegation zone and manager Roy Hodgson has called for calm heads for Saturday's derby showdown. "The fact that it is Brighton and there is this enormous rivalry between the two teams I can't deny it gives it an extra edge," he said. "We have to be very careful that what we do in the game is designed purely and simply to get us to win the match. "We must not allow our hearts to rule our heads to the extent that we make mistakes tactically or by showing too much emotion which maybe leads to a player getting booked or sent off which can happen in these derby games." 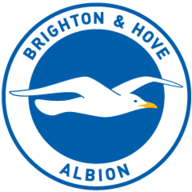 The reverse fixture at the Amex Stadium in November, which finished goalless, was marred by crowd trouble with Brighton accusing a minority of Palace fans of being "intent on causing disorder". Brighton are seven points above the relegation zone and have lost two of their last three games in the Premier League. Strikers Benteke (groin) and Sorloth (hamstring) have both returned to training but Jeffrey Schlupp (ankle) is out. Brighton will be without Davy Propper after he failed to get his red card against Huddersfield overturned. But Anthony Knockaert returns to the squad after completing his three-game suspension. 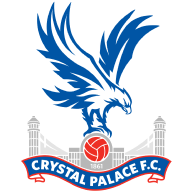 Crystal Palace have only lost one of their last eight home games against Brighton in all competitions (W5 D2), with that defeat coming in the Championship in October 2005 (0-1). There has been a red card in each of Brighton's last three Premier League games, with two of those being shown to the Seagulls. There was only one red card in their opening 29 league games this season. The Eagles haven't lost four consecutive home Premier League games since a run of five in February 2017. Palace have been unlucky in recent weeks and that can't keep happening, they need to finish off games. They should have finished off Bournemouth last week and I think they will get the points this weekend. I can't see Brighton getting dragged into it. Stoke and Southampton need to win about three of their last six games to catch them - they haven't won three of their last 15! It's a big ask for anyone to catch Brighton and there are a lot of teams between them and the relegation zone. I think they will be alright.